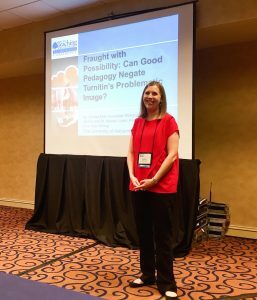 At the Teaching Professor Technology Conference 2016, we led a session that simultaneously asked participants to critique plagiarism prevention software and consider best practices that would make it a legitimate addition to the college classroom. We discussed various criticisms of plagiarism prevention software, specifically Turnitin. Some say it can create a negative classroom environment or antagonistic student-teacher relationships, while others raise ethical questions about the use of student work. We balanced this discussion with ideas for how Turnitin creates a space for students to learn about proper source usage and for instructors to teach ethical writing practices. 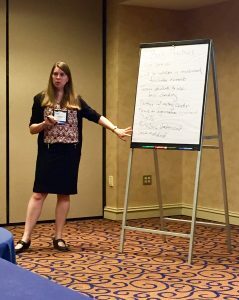 We shared information about how UA’s First-Year Writing Program uses Turnitin throughout the writing process to help students check their own source usage and correct any issues during the revision process. We also highlighted other practical uses of the software, including grading and peer review capabilities. Then, participants worked in groups to design assignments that could use Turnitin. We asked groups to share their results and helped participants think through reasons for using the software beyond just catching and punishing plagiarists. Next, the groups brainstormed ways to adjust their initial ideas to exclude Turnitin and still accomplish the same assignment outcomes. These revisions all involved a substantial increase in teacher time commitment. 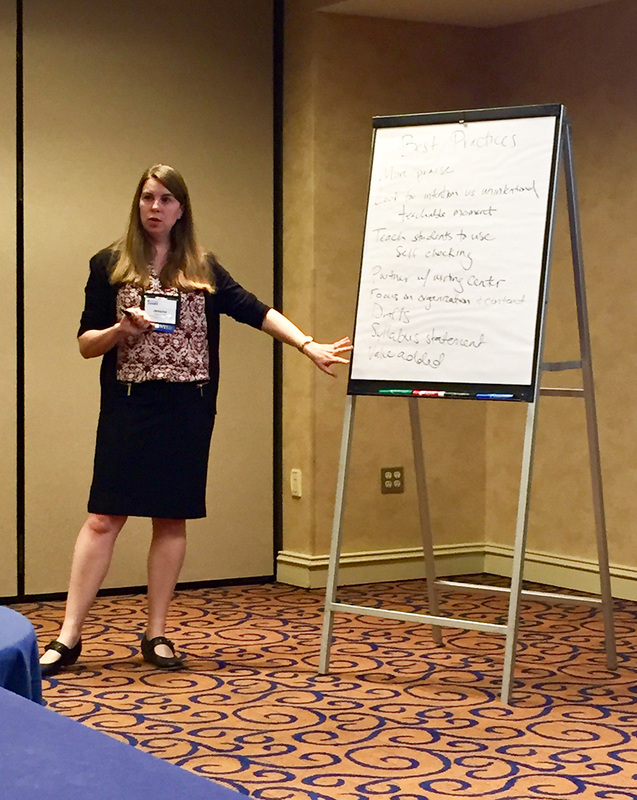 We wrapped the session by collaboratively creating a set of best practices to guide teachers’ use of Turnitin. These included teaching students to interpret their own originality reports, using the software at the draft stage of writing, and focusing on teachable moments. While many of the ideas we heard during the session focused on the “gotcha” aspect of the software, we felt that by the end of the session we had planted the seeds for teachers to re-envision how Turnitin could become part of the writing and assessment process and establish instead of stymie student-teacher conversations. Jessica Fordham Kidd is the associate director of the First-Year Writing Program and an assistant professor in the Department of English. Natalie Loper is the assistant director of the First-Year Writing Program and the online coordinator for the Department of English.